R.I.P., KRISTIN HARMON NELSON (June 25, 1945 – April 26, 2018), actress and painter. She was the daughter of football star Tom Harmon and actress Elyse Knox and sister of actor Mark Harmon and actress-model Kelly Harmon. 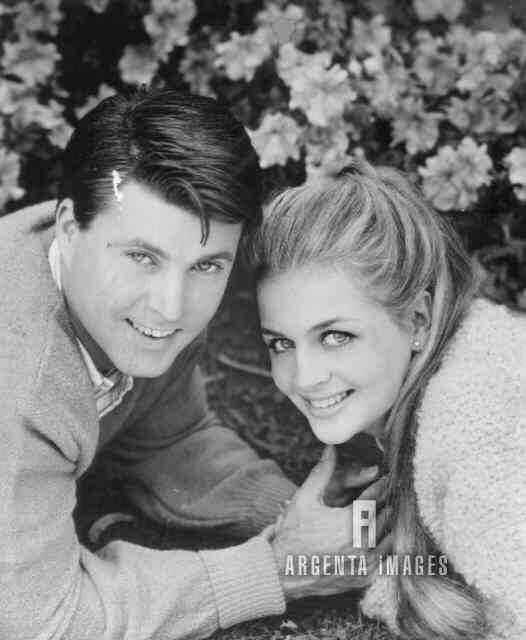 From 1963 to 1982, she was married to actor-singer Ricky Nelson; they had four children: actress Tracy Nelson, Sam Nelson, and twin singers Matthew and Gunnar Nelson.